Want to get the best price for your timber while protecting yourself against liability? A lump sum timber purchase can make it possible. Selling your standing timber can be a tricky business in which it’s all too easy to undercut your own interests. Fortunately, you’ve got a trusted ally in your lump sum timber sale. 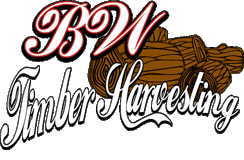 BW Timber Harvesting can help you get top dollar for the value of your timber, in a smooth transaction with no ugly surprises. In a per-unit sale, your price is dictated by the price of each piece of wood. The prices may be calculated either according to the class of product (saw logs, pulpwood, firewood, chipwood, etc.) or as an average of all classes of wood included in the sale. The buyer takes ownership after harvesting. In a lump sum sale, you and your buyer agree on a single price for all the timber on your lot (or within a defined portion of the lot). The sale is then concluded at that point, with the buyer assuming ownership before timber harvesting and removal. A lump sum timber sale offers one major advantage for the seller over a per-unit sale: earlier transfer of risk. In a per-unit sale, you remain on the hook for any loss of value to your product caused by damage, natural disaster or theft, until the timber has been completely harvested and cut. A lump sum transfer shifts the risk burden to the buyer up front, ensuring that you get your payment in full before unexpected issues can devalue the timber. BW Timber Harvesting can give you a detailed, honest and professional assessment and explanation of your timber’s value, giving you a price you can feel good about and then providing the expert harvesting services we’re known for.